In the wake of the SOPA/PIPA protests, debate over the Research Works Act, the growing boycott of Elsevier by scholars in many fields, and more local discussions of the ways that various scholarly societies in my own fields of interest (anthropology, folklore studies) responded to the recent call by the [U.S.] White House Office of Science and Technology Policy for comment on public access to federally funded research, there is a great deal of additional attention being given to the changing nature of the scholarly communications (publishing) system and our hopes for its future. I also spoke in the Digital Anthropologies: Projects and Projections panel organized by Mike and Kim Fortun and sponsored by the Society for Cultural Anthropology. In that event (which has been well documented by Daniel Lende (2011), my goal was to describe the Open Folklore project as both a broader community effort and as a specific digital platform, so as to illustrate a more general point about the fruitful possibilities that can come from direct partnerships between libraries and the library community and scholarly societies. Libraries and scholarly societies now have a customer-to-business relationship and it is one that is growing ever more strained as commercial publishers become central partners in many scholarly society publishing programs. I evoked the alter-globalization motto Another World is Possible in my title because I wanted to suggest that the course that we are on is not the only one available to us. I believe, on the basis of a lot of time spent over the past five years with university librarians around the Midwestern U.S., that the research library community would much rather work with scholarly societies collaboratively in the shared real and digital spaces in which scholars and librarians (and students) already labor together rather than engage antagonistically in a neoliberal marketplace that has been shaped by the business practices pioneered by firms such as Elsevier, Springer and (yes) Wiley-Blackwell. Open Folklore is just one of many university-scholarly society partnerships that are exploring how to make this alternative framework real. I should have just shared my presentation at the time of the AAA meetings, but I had hope that I could quickly work on it some more before getting it into wider circulation. Time has not been available for that work, but the current interest in these issues suggests that I might now have an interested audience and a second chance to share it below in the form that I presented it in Montreal. My remarks below should not be taken as an official statement of the Open Folklore project team, the Indiana University Libraries, or the American Folklore Society. They reflect my own experience with these issues, although they of course also draw upon the rich experiences that I have had partnering with talented, committed colleagues working toward the goal of achieving Open Folklore’s aspirations. The paper below has been edited lightly just to recontextualize the language for a reader not at the original panel (meaning simple removal of language like, “so and so will probably speak later this morning about…”). I wish to take this opportunity to especially thank Mike and Kim Fortun for their remarkable service to the field as editors of Cultural Anthropology and as organizers of the Digital Anthropology event. Building upon shared values, facing common problems, and recognizing new opportunities, partnerships linking scholars, scholarly societies, and research libraries are a particularly hopeful development in the changing scholarly communication system. In my remarks, and as an example of current possibilities, I will quickly describe the Open Folklore project and situate it in the context of the serials crisis, the corporate enclosure of society journal programs, the erosion of the university press system, the development of open source software for scholarly communication, and the rise of the open access movement as a progressive response to these changes. For those wanting basic information on using Open Folklore associated resources in your research and teaching, I urge you to visit the Open Folklore Portal site online and to consult the instructional screencasts that my collaborators and I have shared there, and on YouTube. By way of introduction, I can note that OF is a joint project of the American Folklore Society and the Indiana University Bloomington (IUB) Libraries. The two lead partners share as desire to make more reliable folklore scholarship—in many genres—discoverable and freely available online. The Open Folklore team is doing this work but so are many colleagues in many places. Consulting the Open Folklore website, which I will come to in a moment, provides an eye-opening and encouraging sense of the OA work that a wide and deep network of folklorists have already been pursuing. Launched in 2010, the project has grown rapidly and made significant progress in its efforts to foster and encourage the development of an interconnected and interoperable, but also distributed and low-cost, system of open access projects and resources. 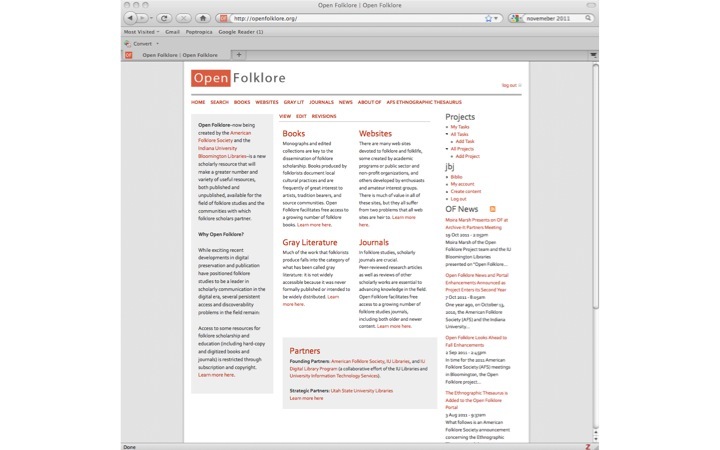 The Open Folklore project is more than its associated portal site. The project is pursuing educational projects aimed at educating scholars about open access issues. Importantly, it is also working with rights holders and publishing partners to encourage the pursuit of sustainable open access projects that comply with the basic technical standards already extant in the broader scholarly communications community. Such background work is only visible to those who are following the project closely (ex: Fister 2010a, 2010b, 2011, 2012). For many students, scholars, other users of open access scholarship in the field, the Drupal-based portal is synonymous with the project. It is a web resource that, among other functions, provides centralized searching of, and access to, many open access journals, books, and repository collections in and for the field. Many of the bodies of scholarly content discoverable through OF Search have been made available independently by a diversity of organizations and publishers around the world. As these entities become linked together into the Open Folklore community, they gain formal status of Partners or Friends of the project. The World Oral Literature Project, about which my fellow panelist Mark Turin spoke in Montreal, is one such Friend of Open Folklore. On the open access journal front, the Open Folklore project has, so far, worked with copyright holders to liberate and make digitally available the historical runs for eight significant folklore studies and ethnology journals, with many additional titles in the cue. This liberated corpus now includes almost all of the AFS section journals, but it also includes non-AFS titles as well. Via the Open Folklore Search tool, the content of twenty-one journal and monograph series are harvested for discovery and full open access use. Many of these journals are very active in their publishing programs and thus the corpus of harvestable content accessible via OF Search grows almost weekly. As new journals and series in the field are made available on platforms that are compliant with the Open Archives Initiative Protocol for Metadata Harvesting, they are approached and asked to join the Open Folklore effort. Content from such friends of the project is set to be automatically and regularly harvested for inclusion in the search corpus. Some open access journals in the field, including some key titles such as Oral Tradition, Cultural Analysis, and Asian Ethnology are not yet published using an OAI compliant platform such as Open Journal Systems, Fedora, DSpace, and Digital Commons. To help users locate and use such titles, the Open Folklore portal maintains a linked list of several dozen such open access titles in the field. Using the Internet Archive’s Archive-It service, OF has, in another phase of the project, started creating fully functional preservation copies of several content-rich websites important to the field. Included in the corpus of archived websites are the sites of some key not-for-profit organizations that have been shuttered during the current economic downturn. Among the sites that have already been archived and preserved (also here) are those of the American Folklife Center of the Library of Congress, the Western Folklife Center, and the Community Arts Network. Similarly, in our grey literature efforts, the working papers and publications of The Fund For Folk Culture were archived and preserved before that organization ceased operation. On the book front, a key partner in OF is the Utah State University Press, which is making its rich backlist of folklore studies books—including some of the most important works in the field—freely available online. Metadata for these titles, which they are distributing via the Utah State University institutional repository, has been harvested for unified discovery via Open Folklore Search. 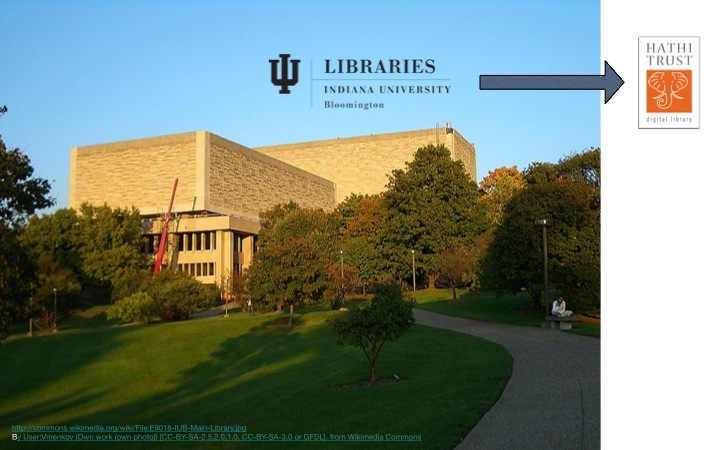 Also central to the project is the IU Libraries’ 57,000+ volume Folklore Collection, a trove of thousands of books and journal runs that have now been made searchable and available through the HathiTrust Digital Library. Recently added to the Open Folklore portal is the AFS Ethnographic Thesaurus, a controlled vocabulary for work in ethnographic disciplines that was developed by the AFS in partnership with the Library of Congress, with support from the Mellon Foundation. That is a sample of the content linked to the project and portal. It is exciting that the corpus of OA content is growing so rapidly and that so much has been accomplished without recourse to the usual developmental sequence of large planning grant followed by large implementation grant and then the search for sustainability plans. The key factor in this dynamic are the partnership relationships that I am emphasizing along with a decision to build the project as a linking mechanism connecting together a diversity of already existing projects, software tools, and content collections. In the language of the moment best articulated by our colleague David Graeber (2002:70), Open Folklore aspires to be “horizontal” rather than “vertical” in orientation and organization. Many opportunities and threats motivate the work of Open Folklore and its collaborators. For most participants, developing positive responses to the serials crisis and other large-scale transformations of the inherited publishing and research library systems are a key motivation. For example, for the library community, rethinking what collections development will entail in an era when monographs and journals are fully digital motivate excitement for new efforts like Open Folklore (American Library Association 2011). The librarians’ hope is that they can work directly with scholarly societies to assemble resources for the combined use of students, scholars, and the public. What is hoped for are partnerships in which societies and groups of societies pair up with libraries and groups of libraries, with the libraries developing reasonable divisions of labor among themselves and taking on co-leadership roles in disciplines for which there is local campus strengths. Some of my own personal motivations for our work derive from observing the continued consolidation of power and influence in the hands of a few large multinational commercial publishers (Jackson 2011a). Witnessing the functional enclosure of society journal programs in anthropology by the largest publishing firms, I have been eager to help quickly build up an alternative framework for neighboring folklore and ethnology. One expression of this for OF has been prioritizing work with the rights holders for legacy print journals aimed at moving these titles quickly into open access availability ahead of any efforts to digitize them into toll access, revenue-generating resources. As scholars working in another monograph dependent field, folklorists have special concern for the erosion of the university press system, now under tremendous pressure on many fronts—not only as a consequence of the serials crisis and competition from commercial publishers, but also because of university disinvestment, technical challenges, and a host of other factors that have been under discussion for much of the last decade under the broad heading of the “crisis in scholarly publishing.” (Surveyed most recently in Fitzpatrick 2011.) While founded on the notion that there will be a plurality of approaches to making scholarly communication work in the open access era, the Open Folklore project is particularly appreciative of those presses that are experimenting with library-press partnerships. 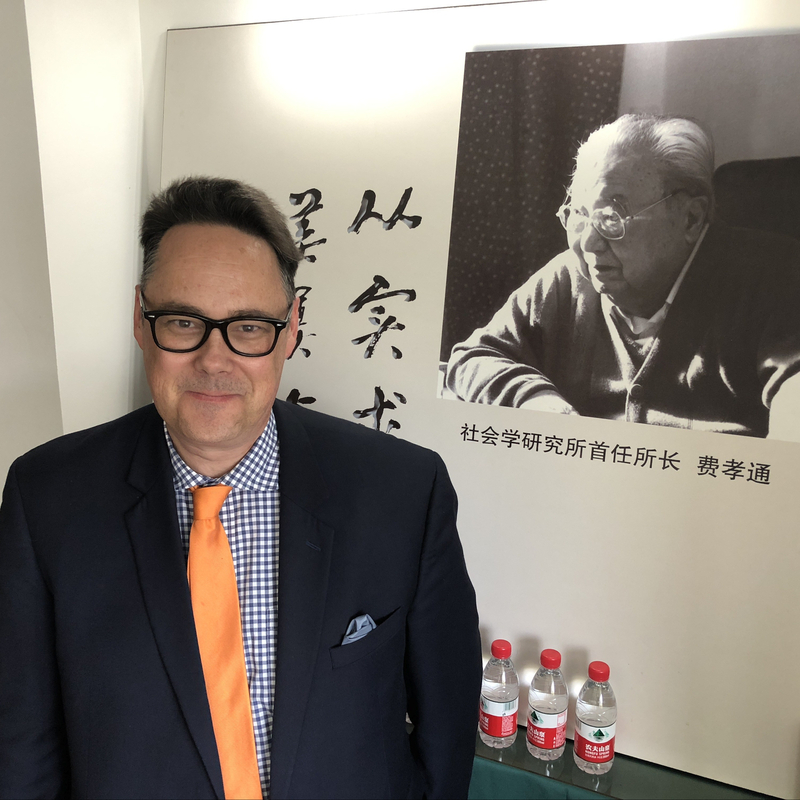 For folklore studies, Utah State University Press is a standout, but University of Michigan Press is another leader in this realm. As both project and portal, Open Folklore takes much of its strength from the free/open source software movements. In Two Bits, Chris Kelty (2008) has tracked the ways that these communities provided inspiration and resources for the development of the open access and open educational resource efforts. These are important contexts for projects like Open Folklore, but OF is also built directly upon on software tools and interoperability protocols that make the emerging scholarly communications ecosystem work. The image that we most often resort to in explaining how Open Folklore works is that of a decentralized network of content “buckets,” which are linked not through the centralization of content but through the harvesting of associated metadata. In this work, the most crucial technology is the metadata harvesting protocols that I mentioned above. OJS, DSpace, Drupal and other software platforms for the publishing and archiving of scholarly materials are made interoperable through adherence to these protocols. For OF, this technical interoperability is structurally parallel to the horizontal and distributed ways that the project fosters social partnerships between dispersed professional organizations, including libraries, publishers, scholarly societies, and research institutes. What would I like non-folklorists to take away from the still new story of the Open Folklore project? First, that librarians are eager to partner with scholarly societies, whom they see as likely allies, because such societies are comprised of the college and university faculty and students whom they are charged to serve. I would add that this inherent alignment of interests is put under stress when societies function like, or partner with, those commercial publishers whose IT, IP, and business practices are most antagonistic to our home institutions, our libraries, and the debt-burdened students who pay our bills. In the emergent digital research library, librarians are eager to pursue projects with us that can redefine what it means to build a research collection in the public interest. Put simply, the wider library community has rallied around Open Folklore because it actualized their hope that societies can be partners rather than antagonists in the work ahead. Another notion that I hope observers of the Open Folklore project will seize upon is the recognition that preservation-quality, technologically and intellectually robust scholarly communications projects do not need to be built under a single literal, organizational, or technical roof. They also can be gotten going with reasonable expectations of sustainability and scalability without recourse to ever-more-difficult-to-secure large-scale grants and foundation support. (See Kelty et al. 2007:574-576). Like many other open access projects, Open Folklore hopefully suggests how the neoliberal transformation of scholarly publishing can be meaningfully resisted and an alternative system of scholarly communication system built in its place. As I have recently tried to suggest in the context of the AAA’s ongoing conversation on publishing, we do not need to solve the biggest problems first. The American Folklore Society has not solved the financial questions that must be addressed before the essential revenue-producing Journal of American Folklore could become a gold open access title. Achieving more modest goals and making those journals that are not central to the revenue picture openly available provides experiences that will shape the eventual solving of the more intractable challenges. I advocate similar strategies for other fields, including of my other disciplinary home of anthropology. (The Linguistic Society of America has also made great strides down this path through its eLanguage program.) Just as librarians played such a key role in envisioning the initial AnthroSource plan, experience tells me that they would still like to partner with anthropologists to achieve our shared scholarly communications goals (AAA 2003; Goodman 2006; Nardi et. al 2004 and especially Calpestri and Nardi 2004). With the example of the Occupy Wall Street movement before us and all signs pointing to an eminent student-debt driven reordering of North American higher education system, the time seems more than right for strengthening our partnerships with those working in the broad public interest and for asking hard questions about our corporate entanglements. It’s just one example among many, but I hope that Open Folklore’s work suggests that alternatives are available to all of us. 2003 AAA Receives Funding to Launch Bold Electronic Initiative in Early 2004. http://web.archive.org/web/20080719122914/http://www.aaanet.org/press/ma_AnthroSource.htm, accessed February 3, 2012. 2011 Open Folklore Wins ALCTS Outstanding Collaboration Award. American Libraries. Febrary 22, 2011. http://americanlibrariesmagazine.org/news/ala/open-folklore-project-receives-alcts-outstanding-collaboration-award, accessed November 9, 2011. 2011 The Future of AAA Publishing: Opening a Conversation. American Anthropological Association [Weblog]. http://blog.aaanet.org/2011/10/18/the-future-of-aaa-publishing-opening-a-conversation/, accessed February 3, 2012. 2004 Creating a Shared Vision for AnthroSource. Anthropology News 45(3): 9-9. http://onlinelibrary.wiley.com/doi/10.1111/an.2004.45.3.9/abstract, accessed February 3, 2012. 2010a Open to Change: How Open Access Can Work. Inside Higher Education. http://www.insidehighered.com/blogs/library_babel_fish/open_to_change_how_open_access_can_work, accessed February 3, 2012. 2010b Prestige for a Price? Two Open Access Futures | Peer to Peer Review. Library Journal. http://www.libraryjournal.com/lj/communityacademiclibraries/887254-419/prestige_for_a_price_two.html.csp, accessed February 3, 2012. 2011 What a Provost Could Do | Peer to Peer Review. Library Journal. http://www.libraryjournal.com/lj/home/889330-264/what_a_provost_could_do.html.csp, accessed February 3, 2012. 2012 The Shock of the Old. Library Journal. http://lj.libraryjournal.com/2012/01/opinion/barbara-fister/the-shock-of-the-old-peer-to-peer-review/, accessed February 3, 2012. 2011 Planned Obsolescence: Publishing, Technology, and the Future of the Academy. New York University Press. 2006 AnthroSource for All (And All for AnthroSource). Anthropology News 47(6): 63. http://onlinelibrary.wiley.com/doi/10.1525/an.2006.47.6.63.1/abstract, accessed February 3, 2012. 2002 The New Anarchists. New Left Review. 13:61-73. http://newleftreview.org/?view=2368, accessed November 9, 2011. 2011a Getting Yourself Out of the Business in Five Easy Steps. In Hacking the Academy. Dan Cohen and Scheinfeldt, eds. Ann Arbor, MI: University of Michigan Press. http://www.digitalculture.org/hacking-the-academy/hacking-scholarship/#scholarship-jackson, accessed February 3, 2012. 2011b “On Green OA and the Future of AAA Publishing.” Shreds and Patches. 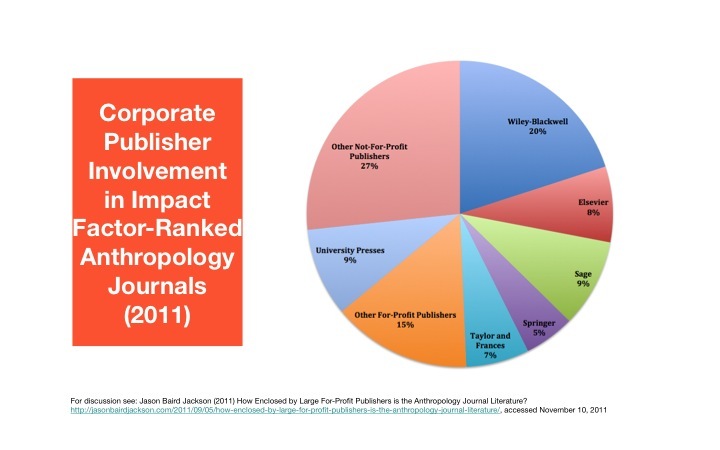 https://jasonbairdjackson.com/2011/11/19/on-green-oa-and-the-future-of-aaa-publishing-at-aaa2011/, accessed January 2, 2012. 2008 Two Bits: The Cultural Significance of Free Software. Durham: Duke University Press. 2007 Anthropology of/in Circulation: The Future of Open Access and Scholarly Societies. Cultural Anthropology 23(2):559-588. https://scholarworks.iu.edu/dspace/handle/2022/3167, accessed February 3, 2012. 2011 Digital Anthropology: Projects and Platforms. http://blogs.plos.org/neuroanthropology/2011/11/28/digital-anthropology-projects-and-platforms/, accessed February 2, 2012. Nardi, Bonnie, Michael Adams, Melody Chu, Shiraz Khan, John Lai, and Elsy Lao. 2004 AnthroSource: Designing a Portal for Anthropologists. First Monday 9(10). http://firstmonday.org/htbin/cgiwrap/bin/ojs/index.php/fm/article/viewArticle/1181/1101, accessed February 3, 2012. 2011 The Present and Future of AAA Publishing. Anthropology News. http://www.anthropology-news.org/index.php/2011/10/03/the-present-and-future-of-aaa-publishing/, accessed February 3, 2012.